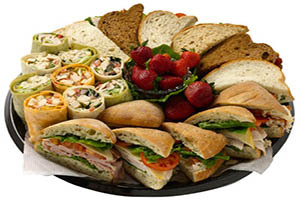 A fresh assortment of breads – ranging from Italian buns, to New York style bagels – filled with a variety of international deli meats, egg salad, tuna salad and more. Garnished with pickles, olives and fresh vegetables. Copyright © 2019 SANTINO. All rights reserved.